This is a great opportunity to use your highly developed employment tax expertise to help shape and support our business, playing an active part within Shell Tax, whilst representing our interests to the outside world. 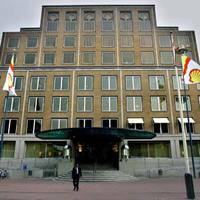 As Employment Tax Adviser NL, ME & Africa you will become part of Shell’s Global Employment Tax team. An autonomous specialist team that provides first class comprehensive employment tax advice to their stakeholders. The role will focus on activity within The Netherlands, Middle East & Africa region. At the country/regional level you will be an expert on fiscal compliance and legislation, but we will also expect you to drive effective risk management and decide on the best solutions that will achieve business objectives and add value. You will provide employment tax advice on all areas of compensation and benefits of the expatriate & local Shell employees. On a wider level, you can look forward to a role that will really stretch your people skills. You will need to be a natural communicator, able to adjust your style with a range of stakeholders from different seniority and cultural backgrounds. You will also represent Shell externally, to fiscal authorities and employment tax committees. Dealing with complex expatriate taxation issues and being the first point of contact for Shell’s external service provider & HR Operations colleagues on these issues. Continuously improving Shell NL’s employment tax control framework. Communicating complex Employment tax issues, so that non-employment tax specialists can understand them. Handling NL tax processes such as the work-related costs scheme and corresponding approval foreign pensions. Running Employment tax training and awareness sessions to HR and business stakeholders. Providing support to country Tax Leads in the region in exercising accountability for employment taxes. A qualified tax advisor (master’s degree), with extensive experience in the employment tax area, working for a professional practice or another multinational commercial organisation. You have shown evidence that you can effectively manage employment tax risks and that you can make recommendations that are objective, practical, technically appropriate and supportive of business goals. Deep technical knowledge of expat taxation (domestic law & international tax treaties). Deep technical knowledge of wage taxes and social security. Experience with implementing changes in tax law and regulations. Good communication skills and effective in influencing others. Ability to balance risk with business objectives. Able to demonstrate imagination and creativity in the evaluation of issues and development of possible solutions. Strong language skills (both Dutch & English). Shell is a company with shared values. Honesty, integrity, and respect aren't simply a strapline: they are a part of everything we do. What's more, Shell is an equal opportunities company, and we place the highest possible value on the diversity of our people and our inclusive approach. Join us and you’ll belong to a world where you can feel pride in your achievements and propel your career with global opportunities. Please apply via the 'Apply now' button. Please send your application for Employment Tax Adviser NL, ME & Africa at Shell in Den Haag including your CV via our website. For more information please click the 'Apply now' button.